You are at:Home»RECAPS»OPPOSITE WORLDS»Opposite Worlds Season 1»SYFY OPPOSITE WORLDS: Week 3 Recap With Rachel Lara & Angela Lima! We have one AWESOME show for you today! Rachel from Opposite Worlds joins us… and then we interview Angela Lima who was eliminated this week. We break down everything for you with Rachel, have a tons of laughs and get all the dirt you didn’t see on the show from Angela! And did you know aside from our show we have so much in store for you this season! We will be live tweeting the shows, doing exit interviews with the cast members as they are evicted each week, blogs, vlogs, prize giveaways and so much more! So follow us on twitter and subscribe on YouTube so you never miss a thing! Be sure to use the chapter markers in the YouTube video description for easy skipping around if you don’t have time to watch it all right away. So we hope you’ll be sticking around and watching Opposite Worlds with us all season… cause if you don’t, I’ll send Jessie to break your legs! HELP SUPPORT THE SHOW: Share our links or like us on social media! Getting people hooked and liking and subscribing/joining to our Twitter, Facebook, and YouTube accounts really helps! You can also make a donation if you really want. All the social media links, info, contests and prizes are HERE. You can also get our shows to go on iTunes or any mobile device HERE. You can get just the audio or video versions of our shows there. Plus now I separated all the shows into individual feeds. Just subscribe to the one you want or the main feeds with all our shows! A 5 STAR rating and review would be nice too! 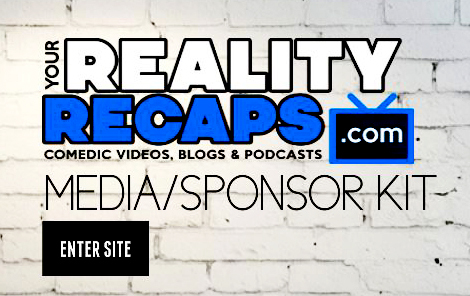 Next Article SYFY OPPOSITE WORLDS: Week 4 Recap With Danielle Pascente & Angela Lima!